Public Talk: May 17 on "Thinking Locally: An Alternative Perspective of Public Security in Mexico"
While in residence, Edna Jaime explored a range of topics regarding policy research as well as Mexico’s economic and public policy. In addition to presenting a public talk, "Thinking Locally: An Alternative Perspective of Public Security in Mexico,” Jaime also was involved in presenting a binational education study on students whose education takes place in San Diego and Tijuana, which was spearheaded by GPS’s Center for U.S. Mexican Studies. 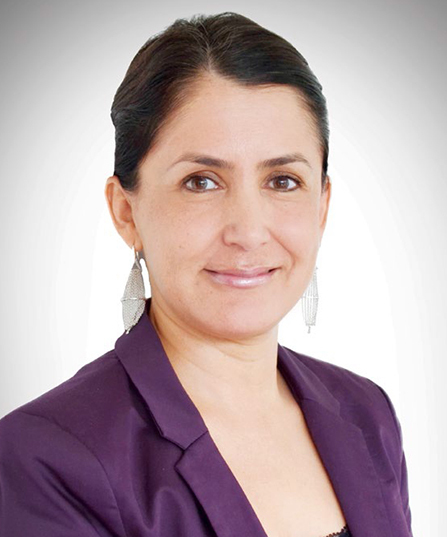 Edna Jaime is the director of México Evalúa, an institution dedicated to evaluating public policy impact in Mexico, including fiscal policy, transparency and security. As director, Jaime is the public face of México Evalúa, networking with outside academics and building groups of collaborators. Internally, she defines the organization’s research agenda and is critical to building impact strategies. Previously, she worked at the Center of Research for Development, Mexico’s first ongoing market-oriented think tank, where she started as a researcher and ultimately became director. Jaime received a bachelor’s degree in social science from the Autonomous Technological Institute of Mexico. She has authored or co-authored 17 papers and is currently a columnist for El Economista and Excélsior.